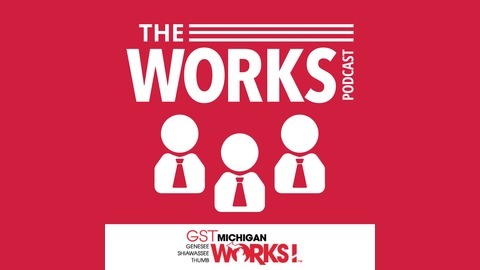 The Works Podcast is a monthly podcast series put on by GST Michigan Works where they explore strategies to find and retain the best talent Michigan has to offer. 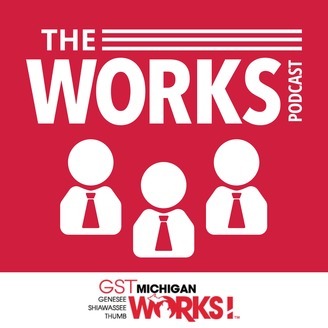 In this episode, we chat with Patricia Lucas, Executive Director of Lapeer Development Corporation on Economic Development. The Lapeer Development Corporation works with businesses to help job creation and increase the tax base for the communities in the county through their capital investment. They help businesses with financing, workforce development, tax forms, and grant writing. The LDC also helps communities build community parks or parcels to help facilitate industrial development and economic development. Economic Development is greatly funded by Economic club members. To learn more on the Lapeer Development Corporation please visit www.lapeerdevelopment.com or contact Patrica Lucas at patricia@lapeerdevelopment.com.